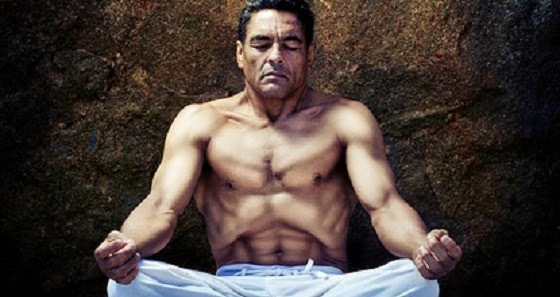 Legendary Rickson Gracie has stated his Jiu Jitsu relies heavily on his breath control. We can live for an extended period of time without food if we had to. We can also survive for days without water. But we can't last more than a few minutes without air. If that's the thing we need most, then in a way, our body was designed to constantly consume and use air. Then the role of breathing can, not only affect the intake of air, but can touch every aspect of our being from clarity to athletic performance and functional movement and even gene expression. Without a proper ability to breathe and brace, you will never be able to lift anything heavy or create explosiveness. You won't even be able to aim. If you're a workaholic and you only care about work, this is still important as without a proper functioning brain, you won't be very effective at work. Don't kid yourself, everyone needs to breathe better. Breathe like a predator, it sounds low, deep, and expansive. How you breathe and how you move are linked together. For instance if your slouch you can't breathe as well, but if you can't breathe well, it's hard to keep good posture. Muscles, bones, and the nervous system support the respiratory system just as the respiratory system supports all those systems to function optimally. If you're nervous you can't breathe, if you can't breathe, you can't calm down. They're forever married. Water also helps to calm people down, along with maximizing oxygen utilization in your body. Normal (quiet) breathing which requires the use of the diaphragm and intercostals muscles. Heavy breathing which requires the additional use of upper trapezius, scalenes, sternocliedomastoids, levator scapulae, and pectoralis minor. In other words you actually need to be strong to breathe deep, like a predator. Predators breathe deep down all the way to the bottom of their lungs. You'll see people breathe deep with their shoulders which can cause or make worse tight neck, shoulders, or tension headaches. Which leads to more stress on the body and the vicious cycle continues. In normal breathing, exhalation is automatic. All it takes is the prime muscles of breathing to relax. During heavy breathing, it takes work and relies on the abdominals to compress the thoracic cavity and push the air out. Again you need strength otherwise it won't be effective, it'll tax you out, you'll run out of air, and everything will get worse. For normal breathing, you breathe into your belly or your diaphragm. But during heavy forced breathing, you'll need to rely on the secondary muscles to lift the rib cage up to expand the lungs further. It's belly AND chest. Then dysfunctional breathing that doesn't rely on the right muscles or the individual who lacks strength, will create alignment and posture issues. Those posture issues will worsen the breath making breathing worse and ultimately posture worse. From forward head, rounded shoulders, or rounded back. We all have some idea about breathing techniques. Breathing through the nose as much as possible, in through the nose, out through the mouth, deep breaths, lung expansion, etc. Yoga and meditation classes are great for these, so is martial arts and athletic trainers. But to maximize breathing and performance and ultimately get more air not just into your body but also into your brain (the money maker), you'll need to not only strengthen your body but loosen up restrictions in your body. This means foam rolling, mobility, stretching, planks, and posture exercises. I've written a guide about functional movement and I also have a guide about different types of foam rollers. You use the foam rollers to break up the restrictions and adhesions of your body, once you break it up, you can use mobility and stretches to improve posture. You don't need a million techniques, you probably only need one to improve breathing. Lie on the ground with your knees bent. Put one hand on your chest, the other on your stomach. Breathe in for as long as you can, exhale for as long as you can. Preferably your nose, but if you can't and need to open your mouth, it's not a big deal. The goal is to expand both your stomach and your chest with each breath, then force all the air out of your body (it's not enough to relax). Do this for a minute and work your way up. At the beginning you might get tired or light headed, as you probably haven't had that much oxygen in your system before.